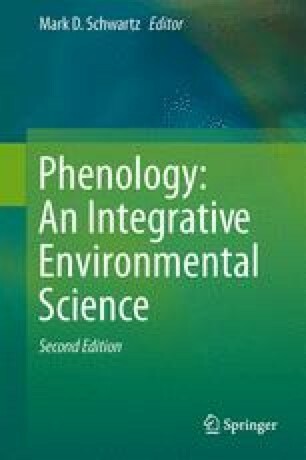 This chapter discusses the theoretical basis and application of phenology models for poikilothermic animals, with a particular emphasis on insects. Realistic and accurate models make use of the non-linear, unimodal nature of physiological responses to temperature, using the rate-summation paradigm. In addition, the intrinsic (genetic) variation of developmental rates within populations is described and used to generate simulations where life-cycle events are distributed over time among individuals rather than occurring simultaneously within populations. The usefulness of circle maps to understand the impact of climate on poikilotherm life cycles is illustrated. The application of phenology models at landscape scale, and their use in the study of the impacts of climate and climate change on the distribution of poikilotherms are illustrated with two examples.